Originally from East London Glen has lived in the Cheshunt area for over 20 years. It was whilst running a local football team, and witnessing various injuries (most of them his own) that Glen became interested in the health professions. 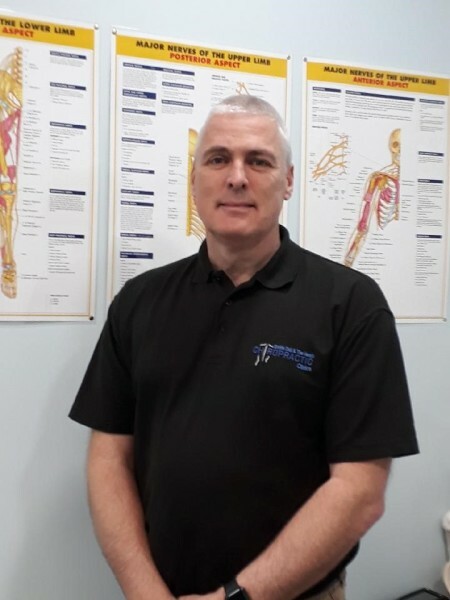 He completed 2 courses with the football association for the management and treatment of injuries, to deal with injuries that may be encountered throughout the football season. To supplement these courses he also took a course with the fellowship of sports massage therapists, and qualified in sports massage in 2000. Around about this time Glen himself was suffering from severe back pain, and after visiting various Physios, Osteopath’s, and Acupuncturist’s he attended a Chiropractor for treatment. The results were remarkable, and he has never had the same severity of back pain since. By a twist of fate he was also invited to work in the same Chiropractic clinic doing sports and remedial massage. It was while working in the clinic and seeing the health benefits that chiropractic could achieve that he decided to train as a chiropractor. After 5 years of studying he graduated from the McTimoney Chiropractic College with a BSc (Hons) Degree. Glen is registered with the General Chiropractic Council and is a member of the College of Chiropractors.